Join us at the Hearth & Vine Cafe for our Northern Michigan take on this wildly popular global dish. It's more than a meal, it's an experience! 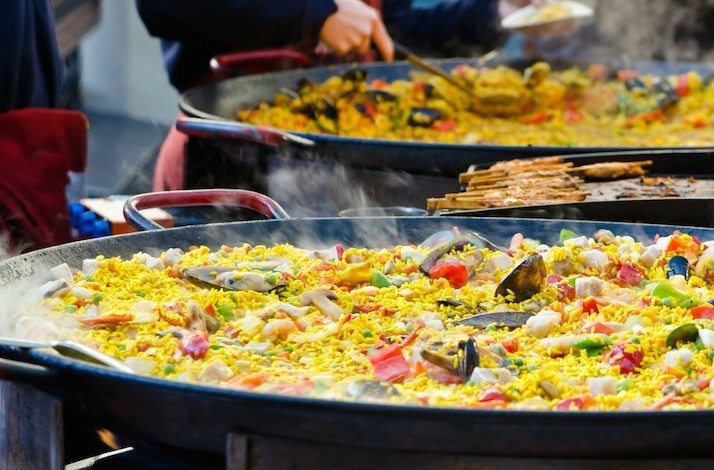 Take in the wonderful savory aromas while our chefs prepare the paella right in the dining room for you. Experience for yourself why this Spanish tradition is considered one of the most sociable and enjoyable of all culinary occasions. Dinner includes paella and dessert. Check in is at 6:30 PM, dinner is served at 7:00 PM. Our mixed paella will feature Prince Edward Island mussels, Middleneck clams, jumbo shrimp, Spanish chorizo, chicken, English peas and roasted red peppers. *Have little ones that do not like seafood? We have you covered, the regular kids menu including cheese pizza and mac cheese will also be available. *Ticket sales end at 12:00 PM the day before the event. Please call the Hearth & Vine Cafe at 231.944.1297 after this time to inquire if seats are still available. *If the event is sold out , please call to be placed on a waiting list.